Poetry spots with foreign views to Helsinki are created by the writers and poets of Sivuvalo project. 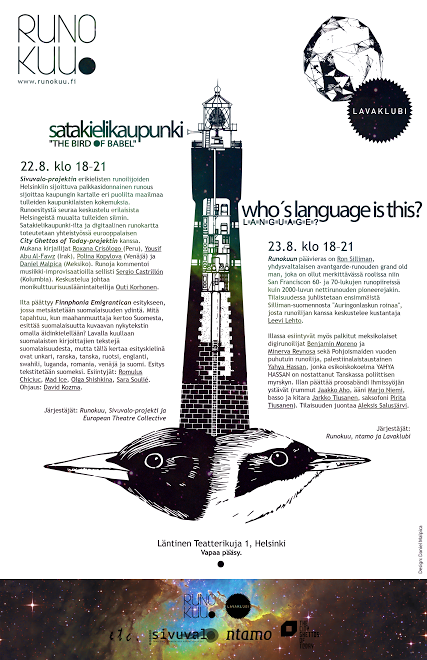 The project makes visible the work of writers who reside in Finland but write in other languages. The poems or extracts of texts are selected according to their relation to different places of Helsinki. An encounter with Roxana Crisólogo in the programme of The City Ghettos of Today on Sept 12th at 17:30 at Stoa, Helsinki. This entry was posted in Cities points, helsinki on August 22, 2014 by Outi Korhonen. The poem Merihaka (in Spanish) is written by Roxana Crisólogo, a poet born in Peru. El poema sobre Merihaka (en español) esta escrito por Roxana Crisólogo, poeta nacida en Peru. The books of Yousif Abu al Fawz, a writer born in Iraq, offer different views to contemporary Helsinki and its surroundings. The only one of them that has been translated to Finnish is called Magic Bird (Taikalintu Like, 2000). This fragment of one of the stories of the book is located in the central railwaystation of Helsinki. An encounter with Yousif Abu al Fawz is organised as part of the Programme of the City Ghettos of Today on Sept 8th, 2014 at 18:45-19:30, at Stoa, Helsinki. Polina Kopylova´s poem Я там, где нас нет но однако - (I am where there are none of us), walks along Fredrikinkatu. Polina Kopylova´s poem is written in Russian and translated to Finnish by Pauli Leskinen. An encounter with Polina Kopylova, journalist and poet born in Russia, is in the programme The City Ghettos of Today on Friday Sept 12th at 16:00-17:15 at Stoa, Helsinki. Polina Kopylova´s poem Зов настигает is situated in the Senate Square, the monumental centre of the city. This entry was posted in Cities points, helsinki, Uncategorized on August 21, 2014 by Outi Korhonen. The books of Yousif Abu al Fawz offer different views to contemporary Helsinki and its surroundings. The only one of them that has been translated to Finnish is called Magic Bird (Taikalintu Like, 2000). This fragment of one of the book´s stories is located between the centre of Helsinki and one of the suburbs by the train line that goes towards north. Yousif Abu al Fawz: Taikalintu (katkelma). arabiasta suomentanut Marko Juntunen. This entry was posted in Cities points, helsinki on August 21, 2014 by Outi Korhonen. The poem Hakaniemen tori – Hakaniemi market is written by Roxana Crisólogo, a poet born in Peru. Se escribe con X (Written with X) is a graphic score poem from Daniel Malpica, a writer and designer born in Mexico. The writer connects the poem with the ground of Suomenlinna, the fortress island in front of Helsinki. The piece was created to be interpreted together with cellist Sergio Castrillón in a presentation of dialogical improvisation. The poetry spots with foreign views to Helsinki are created by the writers and poets of Sivuvalo project. 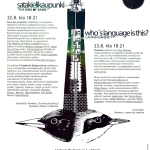 The project makes visible the work of writers who reside in Finland but write in other languages. The poems or extracts of texts are chosen according to their relation to different places of Helsinki. 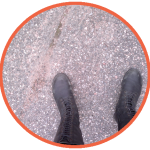 This entry was posted in Cities points, helsinki and tagged Helsinki, kaupunkitila, multilingual, Site-speficic poetry, Sivuvalo, spanish, territory on August 21, 2014 by Outi Korhonen. The City Ghettos of Today is an interdisciplinary artist-run project that takes place in seven European cities. It examines the multiform cultural realities that constitute the urban landscapes in Europe today. What are the dynamics of migrant communities in Europe today and how do they connect to the collective memory of Europe´s past? During the project artistic workshops, installations and performances are created in collaboration with local communities, artists and researchers. The seminar will present case studies of The City Ghettos of Today project in the different European cities involved in the project: Paris, Warsaw, Bologna, Helsinki, Milan and Berlin. Researchers and artists from these cities will describe their local approach to addressing the concept of ghettos, the communities and partners with whom they have worked and the preparatory work in view of the project’s installation in their city. Cities that have already realized their installation will illustrate with video samples how the preparatory process contributed to the installations and performances. Stuba Nikula, Cultural Director of Helsinki, will give special greetings on behalf of the Helsinki city. After the seminar the participants can continue by a dinner table at the Kurdish restaurant Mesopotamia, Cultural Centre Caisa at 18:30-19. The dinner (9 €) includes a musical poetry presentation from multilingual Helsinki with Sivuvalo poets and cellist Sergio Castrillón. Yesmith Sanchez, project communication, Helsinki; Luis Raposo Da Cruz, theatre director specialized in site-specific community theatre. The seminar will be conducted by Outi Korhonen, regional artist for cultural diversity. Main organisers are Arts Promotion Centre / Uusimaa and Citizen´s Forum. 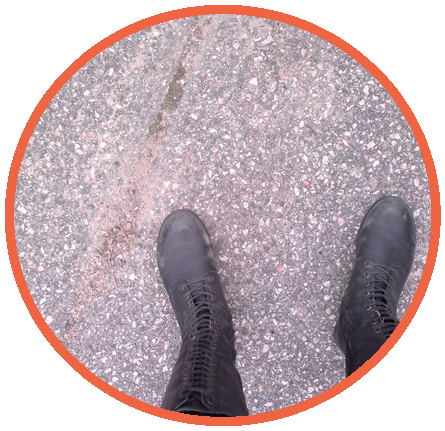 This entry was posted in READ MORE and tagged civil society, community art, dialogue, European cooperation, interdisciplinary, kaupunkitila, multilingual, non-formal learning, seminar, territory, theatre, urban space on August 16, 2014 by Outi Korhonen. A course starting in May 2014 will collaboratively create a walking performance combining different art forms. It is based on participants´ experiences in urban space. The work will be presented in September for international artists from The City Ghettos of Today project with whom it is possible to continue artistic work in the fields of drama, video and sound. The course is given by Eveliina Heinonen, drama instructor of the National Theatre’s audience work and Walter Fondo, performance group director of Pacunet. The course is part of the Citizen’s Forum´s programme called Art and Community as a power of change. The idea is to tell about your local space artistically for others. At the same time we get to know each others’ local experiences from today, yesterday and ideas of tomorrow. Adults interested in arts and / or local space. Children can participate in company of adults. This entry was posted in NEWS on August 13, 2014 by Outi Korhonen. The evening ends with a performance by Finnphonia Emigrantica, where the essence of Finnish-ness will be explored. What happens when an immigrant performs a contemporary poem about Finland in his mother tongue? The night will, indeed, see many poems about Finland written by domestic poets – but the languages they will be recited in are Hungarian, French, Danish, Swedish, English, Swahili, Luganda, Romanian and Russian along with Finnish. The event will be subtitled in Finnish. Performing are: Romulus Chiciuc, Mad Ice, Olga Shiskin and Sara Soulié. Directed by David Kozma.